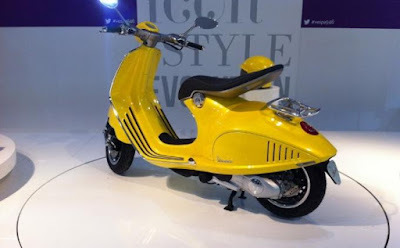 The Vespampère is slim, light and stylish, recalling a vintage classic from 1946 with an electric motor and other contemporary technological tweaks to bring it in tune with the modern era. 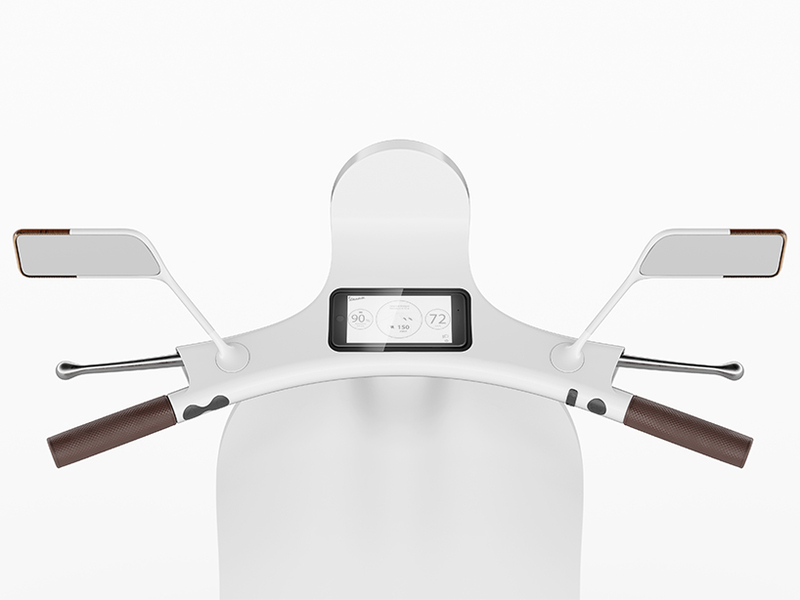 Among other neat twists, a mobile phone becomes an integrated component, effectively serving as the vehicle’s dashboard. 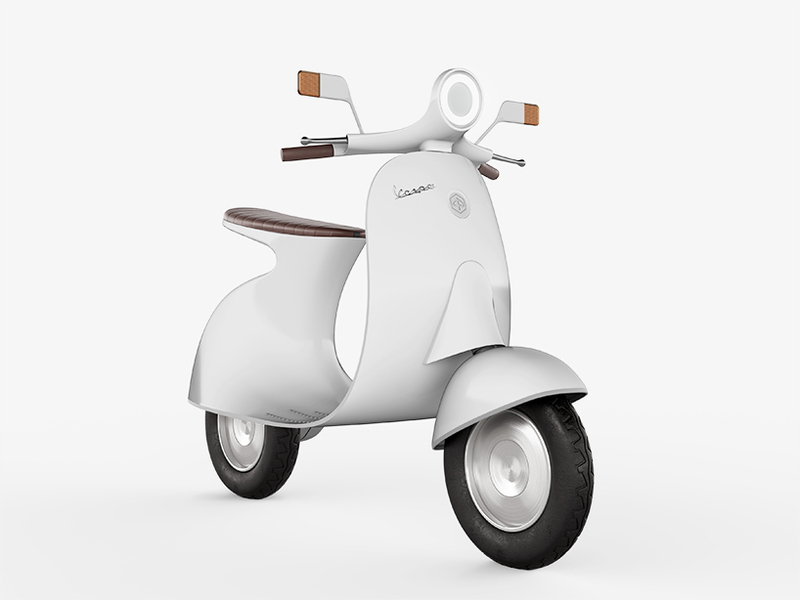 This is an Italian designer Giulio Iacchetti’s fresh model draws inspiration from the film-famous silhouette of historical of the first Piaggio’s 98cc scooter named Vespa 98 models launched in 1946, and now returning to the lighter look of original models (a plus for urban maneuverability). Yes, he developed a model that links to tradition, yet at the same time features a slim, ecological body, for greater agility in city traffic. 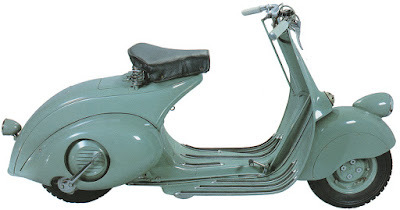 Off course it's contrary to the latest generations, which have gotten ‘heavier’ over the years, everything deemed superfluous has been eliminated in these Vespampère’s design. 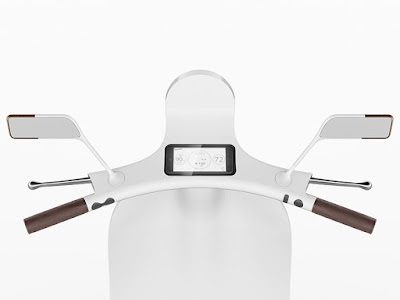 These minimalist, and lightweight version of the scooter sees the typical lateral shells removed in light of its electric motor, which occupies much less space than the traditional gas one. All controls, the speedometer, fuel gauge and lights are accessed through an app by using wireless connection while a special compartment for storing a smartphone has been created on the dash. 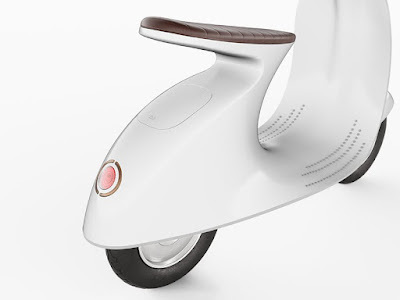 The phone can charge off the vehicle’s on-board electrical system, slim rear-view mirrors feature turn signals, and the cantilevered seat links back to the very first Vespa launched by the company over a half-century ago. 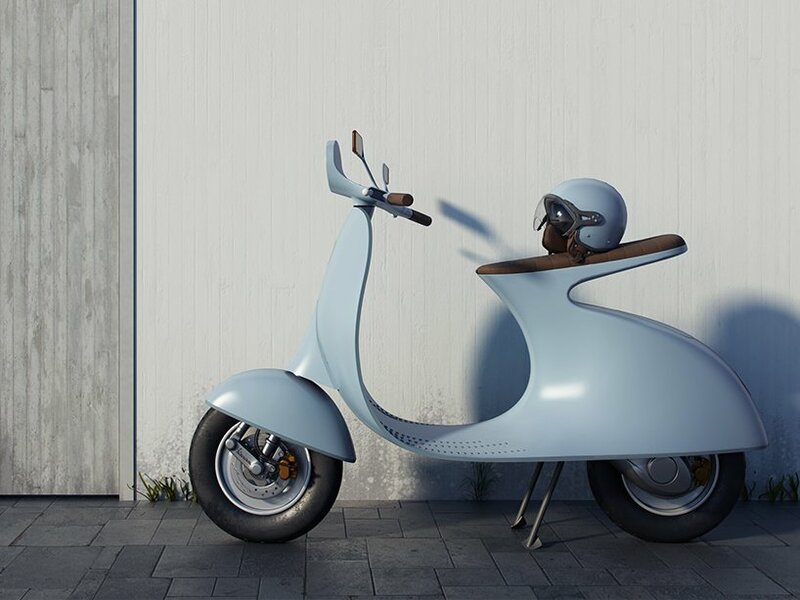 Unfortunately, the Vespampère project is just an exercise in style and a Giulio Iacchetti's personal interpretation of the "Vespa" scooter that is owned by Piaggo & C. S.p.A., it must not be intended as a prototype to be produced and sold.